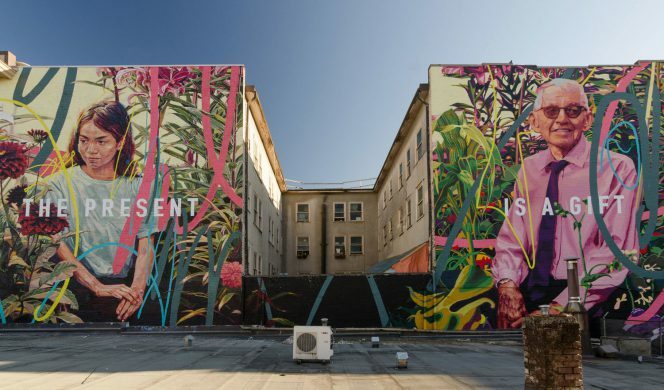 This weekend Vancouver will be painted by the Mural Festival, have its heart opened by the Queer Film Festival, be strummed to by the Guitar Festival, and probably fall over laughing watching a bunch of corgis race. If you find yourself in the dark outdoors on Sunday, look up into the stars – the Perseids will be shooting across the skies in one of the brightest meteor showers of the year. What: An eclectic range of local and regional artists from backgrounds in gallery-centric fine art, tattoo, street art, graffiti, traditional and contemporary Indigenous design, and more have been curated to paint the town whatever colours they choose. There’s also talks, shows, and events! What: Far from its humble roots, starting as a small volunteer project in 1989, the Vancouver Queer Film Festival is now the largest queer arts event in Western Canada. 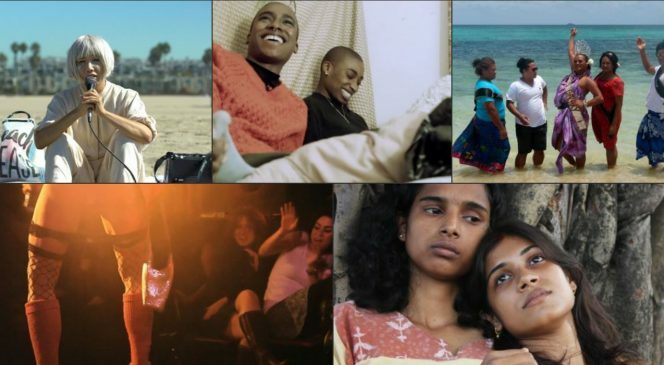 Each summer, the festival brings the very best in queer independent cinema from around the world to Vancouver. What: A guitar-pull is a southern tradition where a small group of musicians take turns playing songs on a guitar. The “pull” part comes from the assumption that there is only one guitar among the group, so a musician may have to “pull” it away from another in order to get a turn. 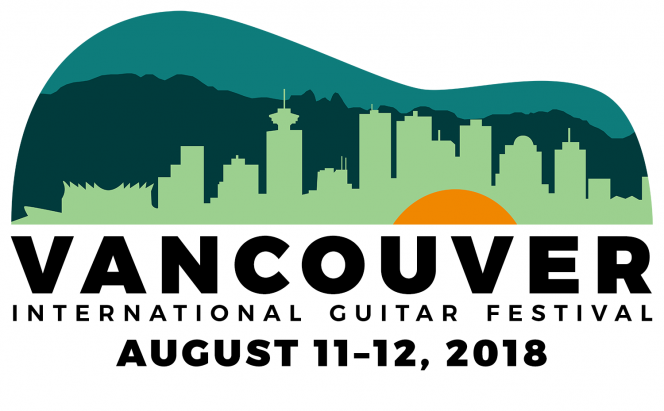 Eight virtuoso guitar players from Canada, United States, Europe and Australia will be in one room demonstrating their individual musical styles with their own instruments. 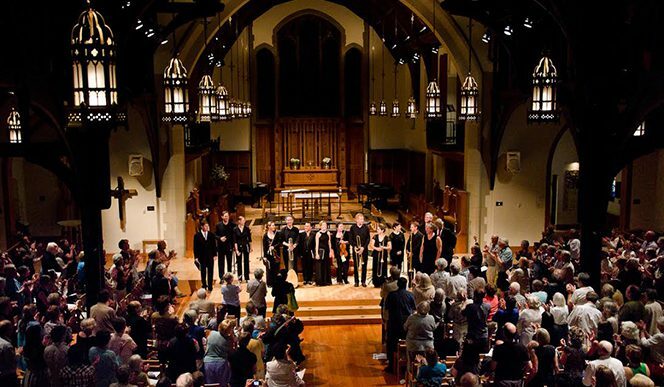 What: This dramatic reading of two large-scale Cantatas by J.S. Bach will be led by esteemed conductor and organist Alexander Weimann, starring internationally renowned soloists of Gli Angeli Genève and instrumentalists of the Pacific Baroque Orchestra. The first half features Wir müssen durch viel Trübsal (BWV 146). Then the evening will conclude with a performance of Bach’s Trauer Ode (BWV 198), a large-scale secular cantata for orchestra and soloists composed in 1727 for the funeral of the beloved Saxon Electoress and Polish Queen Christiane Eberhardin. 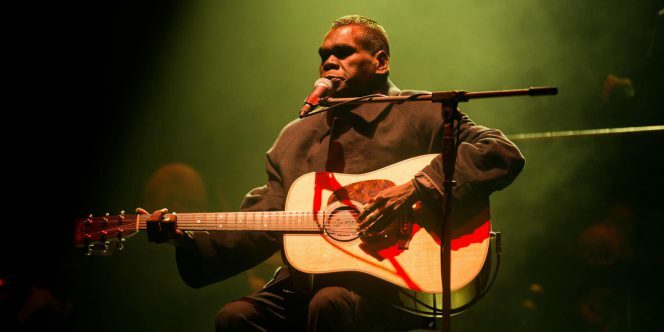 What: Using mesmerizing concert footage and intimate home videos, director Paul Damien Williams delivers a poignant portrait of a complex artist who left us just as the rest of the world was about to embrace him. What: McQueen’s success as both tribute and investigation is due in large part to the filmmakers’ skill at balancing sensitivity with bold creative flourishes. 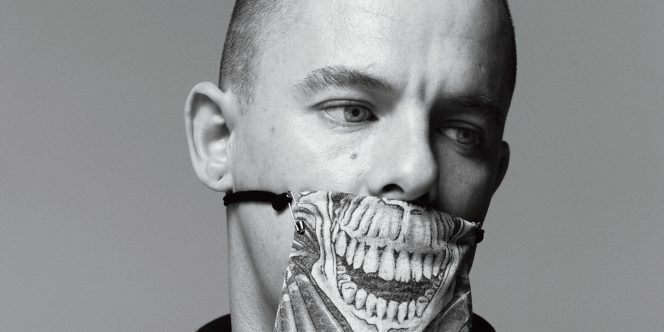 This film traces the rags-to-riches story of the chubby high school dropout from working-class East London, Lee Alexander McQueen, with genuine empathy, via the words of the man himself and candid interviews with several of the people closest to the late designer. 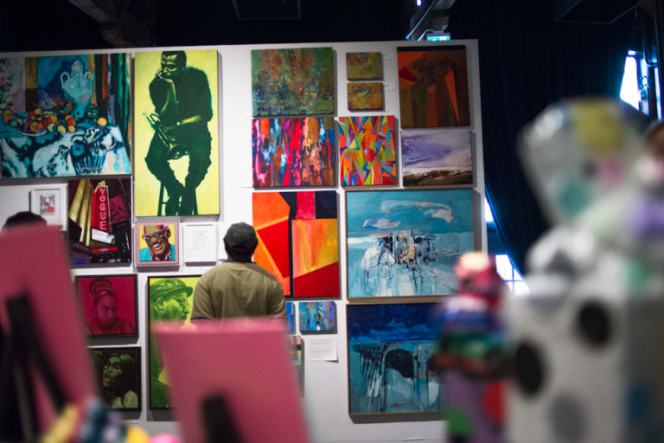 What: Community Arts Council of Vancouver presents the second annual Vancouver Outsider Arts Festival (VOAF) offering visual and performing artists facing social exclusion and other barriers opportunities for exhibition and sales, performance and participation, connection and learning. What: Join guitar builders, players, collectors and aficionados for two days of live music, master classes, special events, and the opportunity to see, hear and play some of the world’s finest handmade stringed instruments. 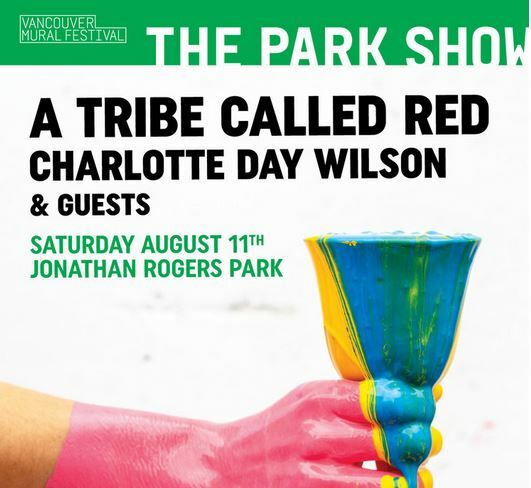 What: As a part of the Vancouver Mural Festival, this Canadian electronic music group, blends instrumental hip hop, reggae and dubstep-influenced dance music with elements of traditional Canadian Indigenous music. 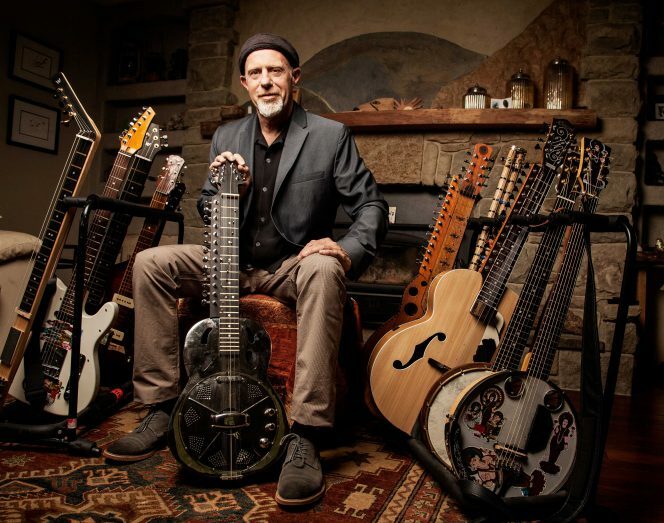 What: Harry Manx has spent years fusing eastern musical traditions with the blues, switching effortlessly between conventional guitars, harmonica, and banjo and the decidedly different Mohan veena, a 20-stringed instrument invented by Manx’ Indian mentor Vishwa Mohan Bhatt. What: The rules are simple, you can bring any type of water-dispensing devices to soak your “opponents”. Everything from buckets to balloons to water guns and even cupped hands cradling water can be applied in a water fight. 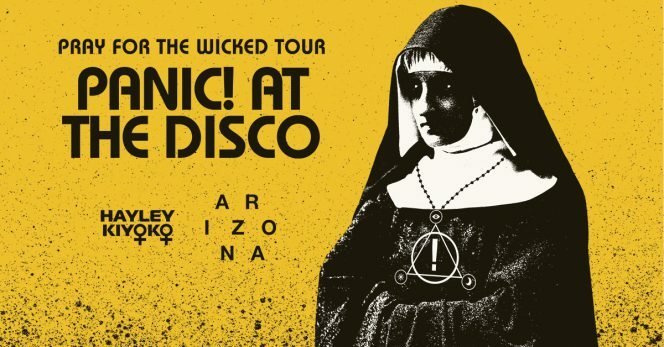 What: Pop-punky emo from Las Vegas. 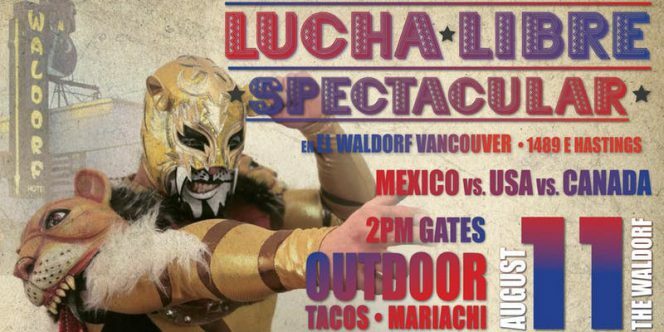 What: Watch Luchadores and Luchadoras from Mexico, USA, and Canada wrestle at a summer street festival with food trucks, a mariachi band, performers, a beer gardena nd an after-party. What: Western Canada’s largest tennis event, offering an equal balance of $200,000 in prize money for men and women. This event also provides players the opportunity to gain valuable world-ranking points on both the ATP and WTA Tours. 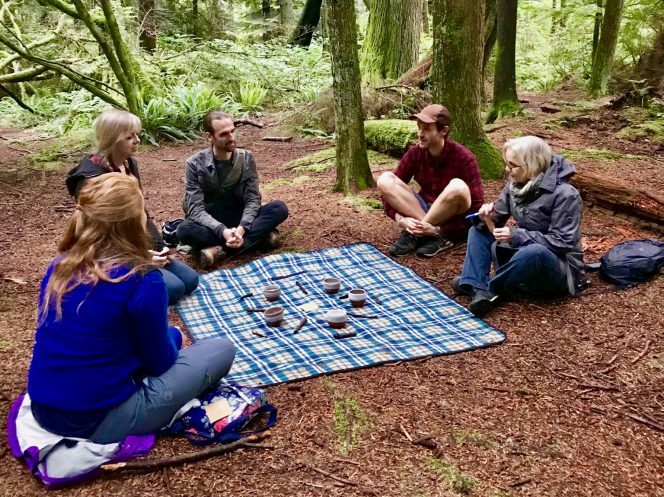 What: Vancouver’s first certified forest therapy guide will lead an exploration of the basics of “forest bathing” – a restorative practice inspired by the Japanese tradition of shinrin-yoku. Your guide will lead your through a series of “invitations” designed to calm our minds, by physically slowing down and connecting with your senses. 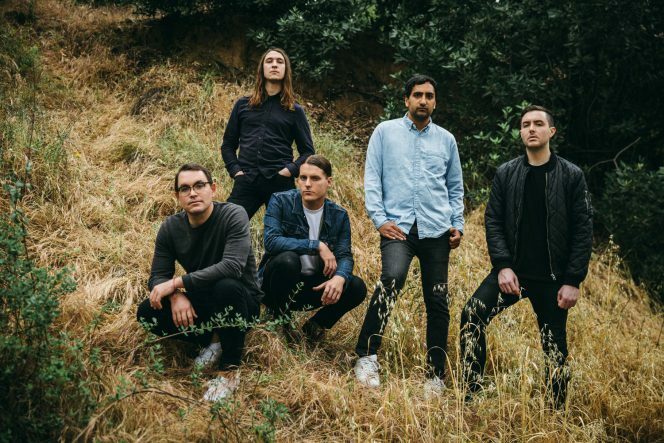 What: Black post-metal with guest Drab Majesty. 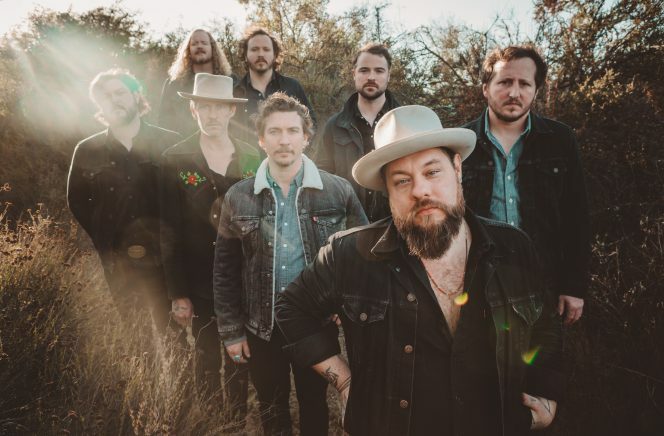 What: Mixing folk and Americana to rock & roll and vintage rhythm & blues, Nathaniel Rateliff and The Night Sweats headline this year’s performance. Fans of the family-friendly event will once again enjoy a full day of music, local food vendors and activities for supporters of all ages. What: Brand ambassador Gez McApline will be pouring three Bruichladdich expressions (including the Octomore) and two complementary expressions from Westland Distillery in Seattle (an American single malt whiskey that has a shared approached and some shared history with Bruichladdich) to raise money for a Whisky documentary. What: A full-day celebration of Indigenous knowledge of land and sea, co-hosted by Terry Point from the Musqueam First Nation and representatives from the Maya in Exile Garden at UBC Farm. 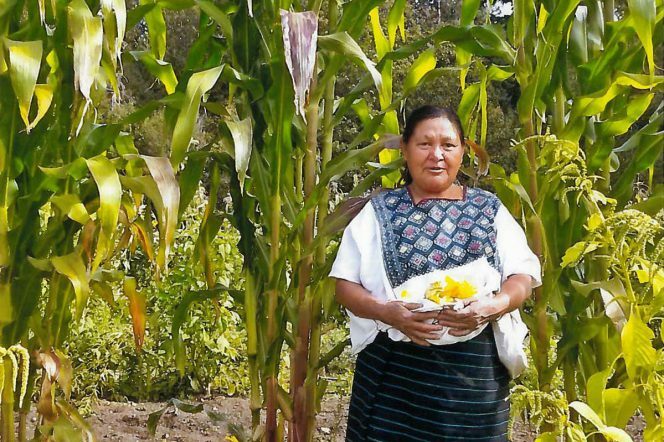 Take an in-depth tour of the Maya Garden, share an intercultural lunch that mixes the culinary traditions of both cultures, hear presentations from knowledge holders. What: You read that right – corgis and all of their teeny little legs are going to be racing! If you thought it was funny to watch one of them run, just wait ’til you see a herd of them, on a racecourse, with their owners all attempting to keep their focus to the finish line. 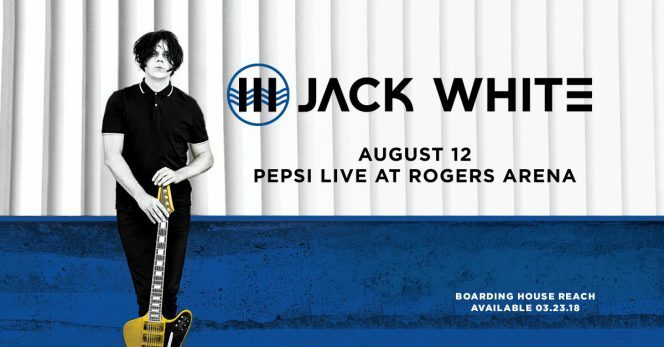 What: Best known as a part of the White Stripes and on a solo tour of his own quirky, catchy indie-rock singing and songwriting. What: Van Django is an acoustic string ensemble made up of four of Canada’s most talented and eclectic musicians; violinist Cameron Wilson, guitarist Budge Schachte, guitarist/cellist Finn Manniche and bassist Brent Gubbels featuring original compositions and arrangements including humorous mash-ups wearing their eclectic influences in full regalia. 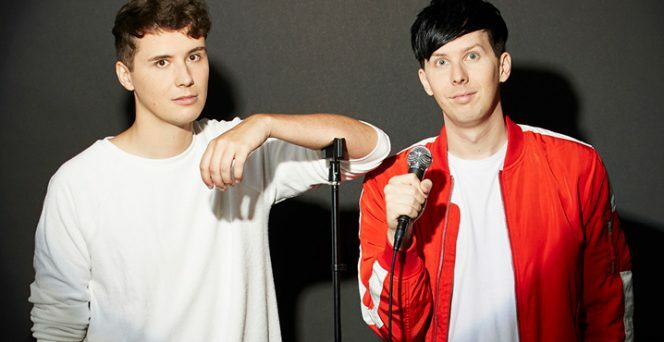 What: Daniel Howell and Phil Leste are two of the world’s biggest YouTube stars. From producing their own comedy videos, they have gone on to present a Radio Academy Award winning show for BBC Radio 1, host international coverage of the BRIT Awards, and in 2017 the hit board game “Truth Bombs”. What: This year’s edition is the largest yet, offering an expanded line-up of 15 concerts featuring guest artists from all over the world. 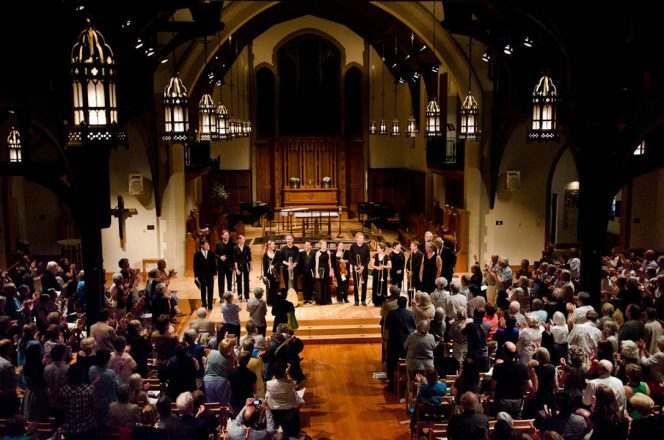 Highlights include French harpsichordist Benjamin Alard’s interpretation of the Goldberg Variations, Canadian Angela Hewitt playing The Well-Tempered Clavier – Book 1, and British violin star Monica Huggett performing theChaconne from Partita no. 2 in D minor. 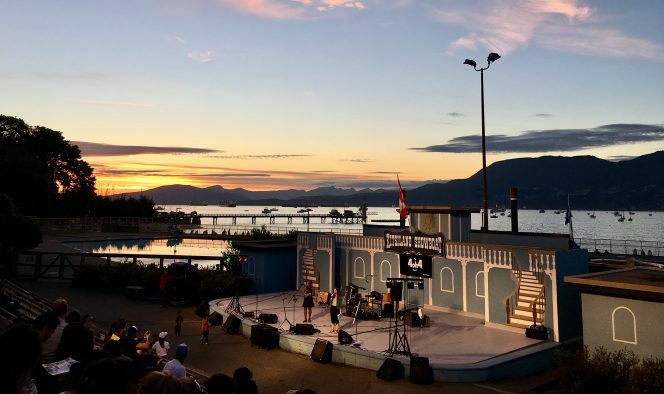 What: The annual Teen Shakespeare Program stages outdoor, all-ages productions on Granville Island with a festival-style village, concession, and activities for the kids before the show and during intermission. Admission is free but seating is limited. 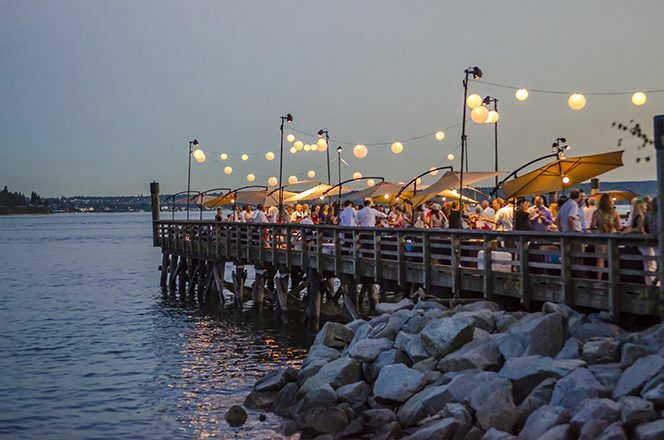 What: A festival of all things art – music, literature, film, visual arts, food, and craft all outdoors along the waterfront. What: It’s a local outdoor variety show that is entirely volunteer run and has been a summer tradition since 1935. See the schedule, or even better – just go! What: There are blonde dames and soft-headed saps galore in The Cinematheque’s annual season of Film Noir, a celebration of one of the American cinema’s richest and most creative (and most jaded and cynical) periods. What: Enjoy a delightful dose of family-friendly outdoor entertainment this summer with two Broadway musicals. Cinderella and 42nd Street will be performed live at the Malkin Bowl – a beloved Vancouver tradition since 1940. What: Every Saturday in July and August, talented local artists will perform on the FlyOver Canada flight deck from 12:30 – 3 PM. What: Listen to music and meet other hikers, music-lovers and beer enthusiasts, or get a group of your buddies together to switch up your regular routine. What: Vancouver is known internationally for its spectacular beauty, friendly citizens, and vibrant multicultural milieu. Beneath the glossy surface lies a complicated and eccentric city ripe for parody. 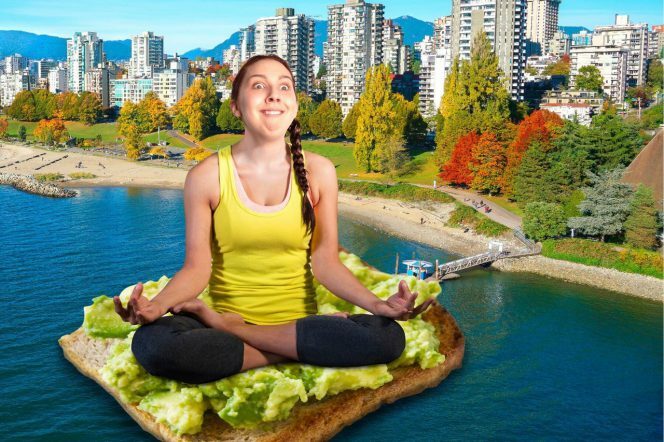 In a series of vignettes, VTSL’s quick-witted improvisers lampoon such local stereotypes as our obsession with fitness (Grouse Grind and yoga, anyone? ), quirky neighbourhoods (The Drive, Main St., Kits, Gastown), and foodie scene (coffee culture, craft breweries/distilleries, avocado toast). 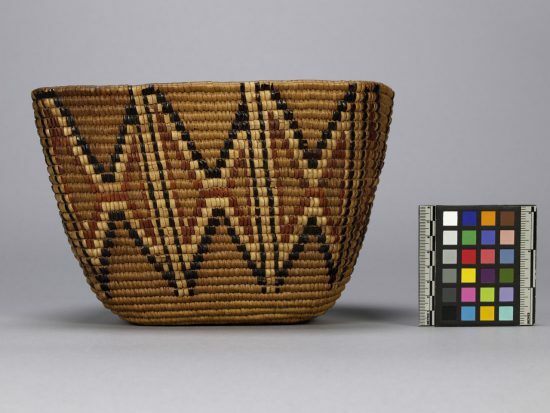 What: The work of two women artists practicing in British Columbia in the early twentieth century. 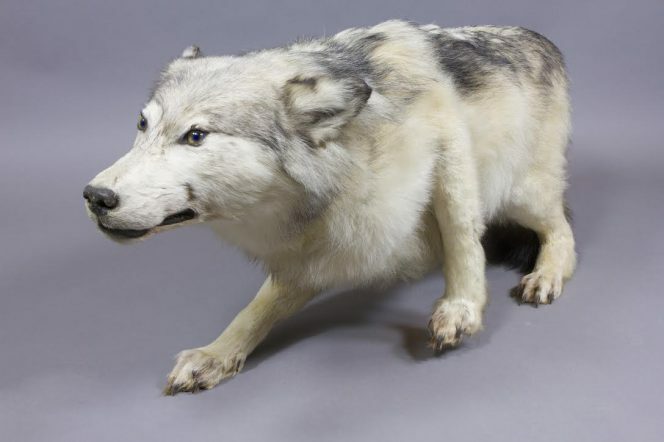 This exhibition draws on the Vancouver Art Gallery’s deep holdings of Carr’s work to reflect her direct engagement with and great affection for British Columbia’s landscape. 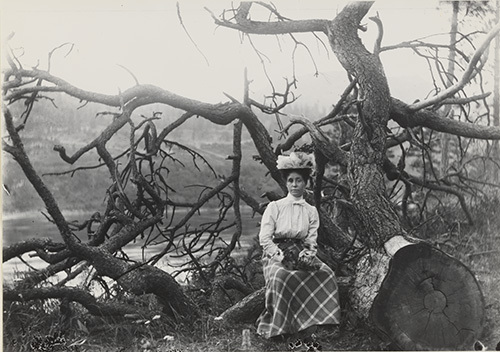 Like Carr, much of Gunterman’s oeuvre reflected her engagement with the wilderness around her which she documented with images of friends, campsites, trappers, prospectors, miners and the day to day of pioneer life. 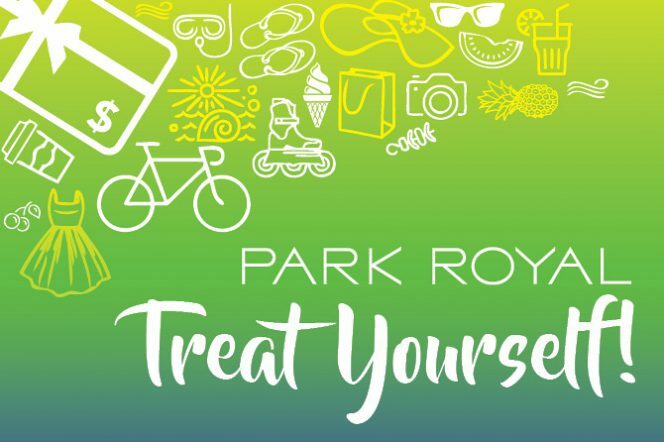 What: Stop by the outdoor treat booth for swag, snacks, and a chance to win gift cards. What: In a new gallery space dedicated to highlighting community and emerging artists, this exhibit highlights stories of the Cultural Sharing Program at the Carnegie Community Centre as represented by the individuals who participate. 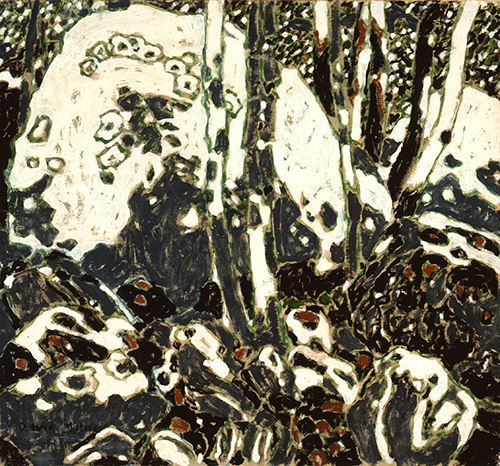 What: David Milne (1882 – 1953) enjoyed a career that spanned half the twentieth century, taking him from the bustling cityscape of New York, to the battlefields of Northern France and Belgium, and back to the wilderness of the Canadian and US landscape. During his progression as a painter, he carved out a distinguished place among Canada’s most original artists. 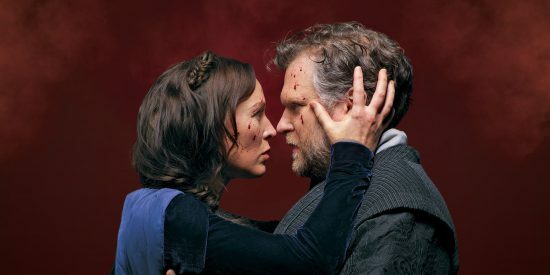 What: What do you say to watching a live production of Macbeth, Timon of Athens, As You Like It or Lysistrata in a custom-built tent on the beach while sipping wine, beer, and munching on a picnic lunch themed to the play? Yes! Right? And don’t even get us started on the amazing costumes. 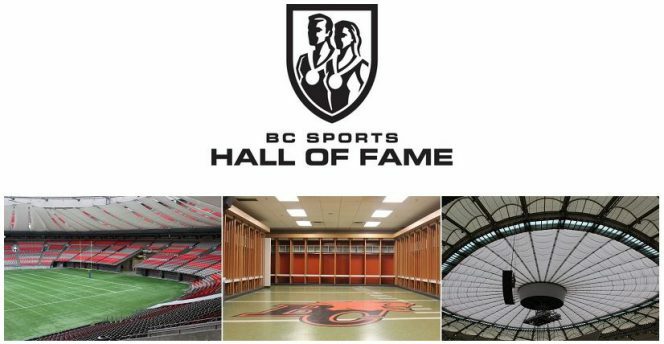 What: Get behind the scenes of BC Place Stadium. Walk out onto the field, check out the team locker rooms, and even stroll through the premium lounges. 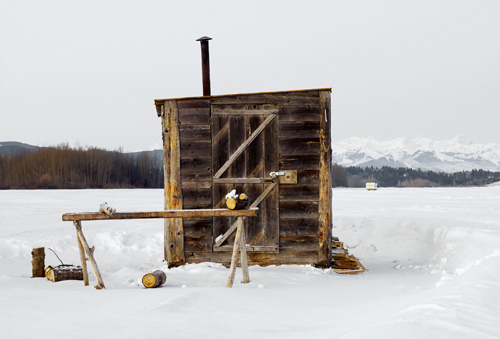 What: This exhibition traces the tradition of the cabin in Canada and the United States—from the settlement of the frontier to depictions showing how this humble architectural form has been appropriated for its symbolic value and helped shape a larger cultural identity. 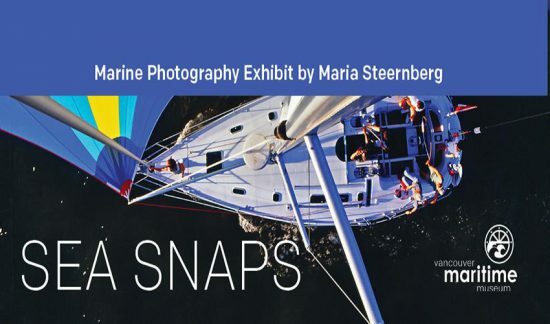 What: A display of work by Maria Steernberg. This exhibition highlights the beauty of Vancouver’s maritime setting and our beautiful coast line through a series of themes; the working waterfront, cruising, nature and disaster. What: Vancouver’s easy-going Sunday market located on the east side of Dude Chilling Park – the gathering place for a diverse crowd of young families, artists, dog owners, and quirky neighbourhood personalities. 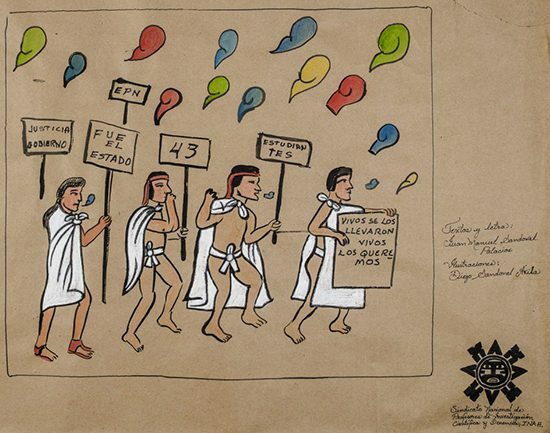 What: This premiere exhibition illustrates how Latin American communities use traditional or historic art forms to express contemporary political realities. Featuring art and multi-sensory installations from Mexico, Guatemala, Peru, Honduras, Ecuador and Chile, with special attention to marginalized communities. 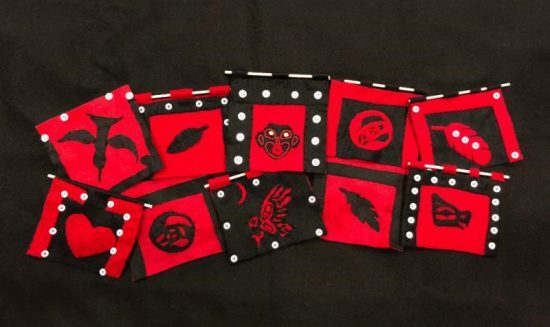 What: Five Indigenous-run cultural centres in BC will be showcased representing six communities: Musqueam Cultural Education and Resource Centre (Musqueam), Squamish-Lil’wat Cultural Centre (Squamish, Lil’wat), Heiltsuk Cultural Education Centre (Heiltsuk), Nisga’a Museum (Nisga’a), and Haida Gwaii Museum (Haida). Covering a wide geographic expanse from Vancouver to the Nass River Valley, this marks the first time the participating communities will come together to share their diverse cultures in one space. What: This is where you’ll find the vendors who have been doing it since the beginning; what started as 14 farmers ‘squatting’ at the Croatian Cultural Centre back in 1995 has grown into Vancouver’s most well-known and beloved market. Visitors come from near and far to sample artisan breads & preserves, stock up on free-range and organic eggs & meats, get the freshest, hard-to-find heirloom vegetables and taste the first Okanagan cherries and peaches of the season. What: At Kitsilano Farmers Market, shoppers will find a great selection of just-picked, seasonal fruits & vegetables, ethically raised and grass fed meat, eggs, & dairy, sustainable seafood, fresh baked bread & artisanal food, local beer, wine, & spirits, and handmade craft. What: 30+ vendors each week – a fresh selection of just-picked seasonal fruits & veggies, ethically-raised meats & sustainable seafood, artisanal bread & prepared foods, craft beer, wine, & spirits, handmade craft, and coffee & food trucks. 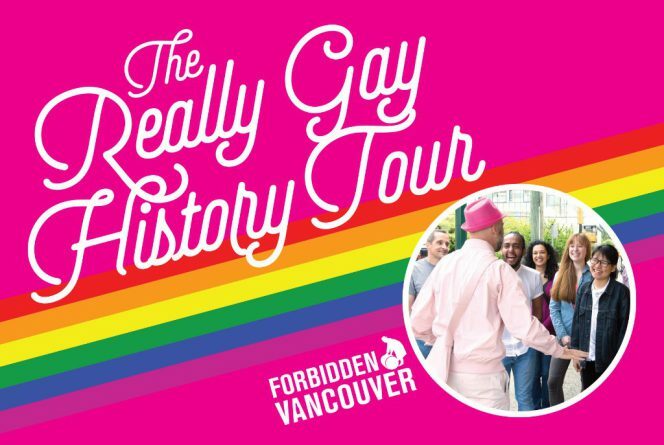 What: Guests will visit the sites of police raids, bookstore bombings, the “kiss-ins” of Granville Street, Imperial Court coronations, and the gayest beer parlour in town. It’s a 2.5 hour long adventure into the stories of a community that fought back against oppression, police brutality and media hate campaigns to make Vancouver today one of the most queer friendly cities in North America. Ayumi Goto and Peter Morin: How do you carry the land? What: This exhibition seeks to bridge the experiences of artists with diverse ancestries in dialogue. Long-time collaborators and friends, Goto and Morin, have created a performance art practice informed by their perspectives as a Japanese diasporic woman and Tahltan First Nations man. What: An exhibition of innovative installations on view both within and outside of the Gallery spotlighting British Columbia-based artist Kevin Schmidt, who draws on aspects of conceptual and performance art while embodying the DIY sensibilities of an amateur inventor. Awesome list here. If only I checked it out on Thursday night, not Sunday night! I’ll have to try again next week.